Apr - 29 | Posted by: celebrityabout | no comments. ”I’m so reserved. I like outfits that come to my knee and aren’t too tight or revealing. I’m too self-conscious of my body and my appearance. I hate the idea of standing in front of a hundreds of people while they take my picture. It’s a nightmare and I feel so uncomfortable. Maybe I’ve improved a little, but any time I’m on the red carpet I lose all sense of myself. I find it so odd. I know it sounds like a contradiction but I never went into acting for all eyes on me. I can recall studying all the major fashion magazines as a little girl so I could see Tyra Banks and my model idol, Naomi Campbell,’ she said of her earliest fashion memories. ‘I watched fashion TV for all the runway shows and obsessed over Naomi Campbell’s runway walk. I still idolise her poise, body and skin to this day and I practiced in my mother’s heels back and forth in the kitchen. I’m honored that the plus fashion world calls me the “Naomi of Plus” because she’s taught me from afar unknowingly. Apr - 28 | Posted by: celebrityabout | no comments. 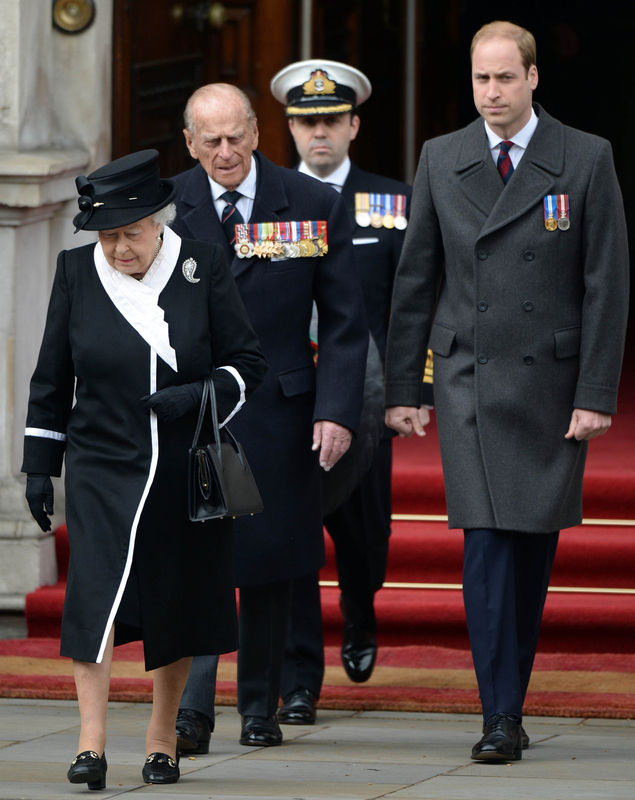 Here are some photos of Queen Elizabeth, the Duke of Edinburgh and Prince William at the “commemorative ceremony marking the centenary of the Gallipoli campaign,” otherwise known as Anzac Day, in London yesterday. William added this to his schedule somewhat last minute, I guess he was expecting Kate to be in labor around now (which will probably happen today or in the next few days, I’m hoping). 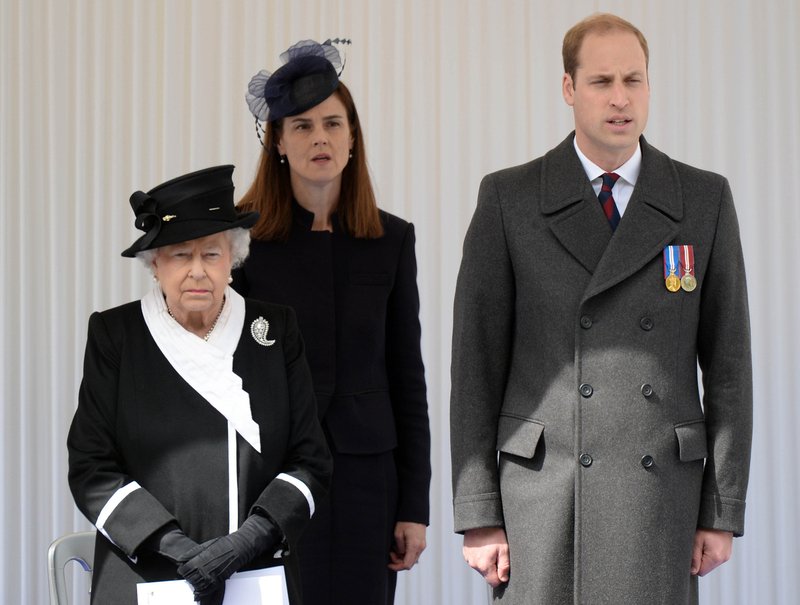 As you can see, Kate didn’t join William and no one was expecting her to. As you can also see, the Queen looked fabulous in black & white. Meanwhile, on Friday, The Express’s royal reporter Richard Palmer published a rather scathing exposé on William’s work-shy ways. Palmer cited a study done by the “anti-monarchy” group Republic and their examination of the real numbers of William’s work schedule. The study picks up on William’s schedule after he left his RAF job in September 2013, and while Republic acknowledges that William did some work on anti-poaching campaigns (in between hunting trips with Jecca Craig, obviously), Republic does not a distinct lack of… actual WORK. The Duke, who has postponed becoming a fulltime working royal to pursue a career as an air ambulance pilot, has always undertaken part-time royal duties, like his brother Prince Harry. In the year between September 2013 and September 2014, when he began studying for air ambulance exams, he worked on royal duties for at least part of 78 days, according to Republic. But after calculating the time he was actually on official duty and allowing for travel and planning time, the group estimated that William worked the equivalent of 46.7 full days. Some 49 of the engagements he took in that time were for parties, trips to the cinema, sports fixtures or other kinds of entertainment, according to Republic. There were two trips to the cinema, 14 to a show, sports event or theme park, while 21 were attending a party, 10 a dinner, and two were going to church. “For most public figures these would be considered private events or perks of the position, even if deemed to be part of the job, as it might with a political leader,” Mr Smith said. Much of William’s royal work is funded by his father Prince Charles’s income from the Duchy of Cornwall estate, a property empire designed to give each heir to the throne a private source of funds. But he and Kate live in taxpayer-funded accommodation at Kensington Palace. Their 21-room apartment cost taxpayers £4.5 million in renovations before they moved into it. They are also protected around-the-clock by taxpayer-funded Scotland Yard police officers and have their travel and costs met from the Government in the Queen’s Sovereign Grant. Royal sources pointed out that William’s 10-week agricultural management course at Cambridge was designed to prepare him for his future royal role as Prince of Wales managing the Duchy of Cornwall. Privately, some friends of the family have admitted, however, that his “transitional year” was not as busy as Kensington Palace might have suggested initially. Palace officials objected in the strongest terms when British media described it as a second gap year. This is what gets me: “Privately, some friends of the family have admitted, however, that his ‘transitional year’ was not as busy as Kensington Palace might have suggested initially…” No sh-t, Sherlock. William didn’t even have Kate’s built-in excuse of “wanting to be a stay-at-home mom to her first child.” Even Kate said that William was barely around for George’s first year (nor do I believe that William is around that much for George right now). William doesn’t want to do royal work and if you’re going to make him do any kind of work, it’s got to be fluff like “going to a film premiere” and even then he’s going to pad the numbers. So he doesn’t want to do royal work, he doesn’t want to spend time with his family, he wants to fly planes… until he gets bored with that too. Whatever is a petulant princeling to do? Bikini Treat of the day: Rihanna, who looked like she was having a great time on the beach this week while looking good in a white bikini & lots of accessories. My idea of a healthy diet is consistency and eating three healthy meals a day. Having said that, red meat, wheat and dairy don’t work for me. I’m on the run a lot and if I’m not nourished, I don’t feel good. The most surprising thing in my handbag is a pH balance urine tester kit to check that I’m in an alkaline state. I believe that most ailments come from having an acidic body. For years, I was taking vitamins and powders. I tried alternative medicine, acupuncture, reflexology. I’m a pescatarian, I don’t drink, do drugs or smoke so what else can I do? I wasn’t unaware of wellness but something wasn’t working for me and I told my doctor “I don’t feel great”. She told me my body was acidic, it was down to stress, travel and lack of sleep. … says 51 year-old Elle.